The Buck Commander® 1895 LoneRock hunter is designed to provide a range of grip options and fine control for field dressing. Whether you choke up on the blade or hold it securely by the handle for additional leverage, this LoneRock hunter, designed and built by Kershaw, offers the grip you prefer. For extra security, even in slippery conditions, the LoneRock hunter feature Kershaw’s K-Texture™ rubberized overmold on the handle. The blade is titanium coated in brown for additional protection from the elements. This set also includes the Zipit gut hook. Compact and lightweight, the Zipit makes it easy to “unzip” the skin without danger of puncturing the gut sack and ruining the meat. Includes nylon sheath for the LoneRock. 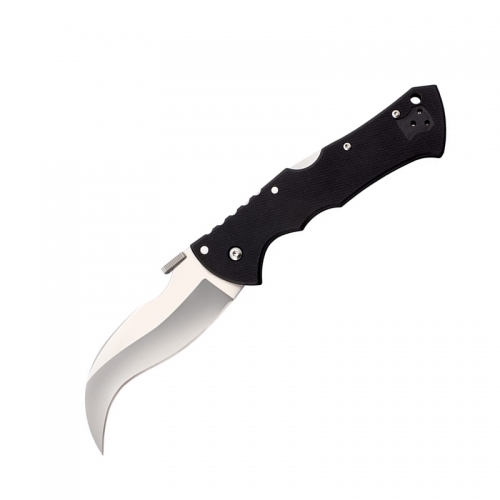 Knife Blade: Titanium carbo-nitride coating Handle: Glass-filled nylon, K-Texture™ grip Blade: 3.75 in. Overall: 8.25 in. 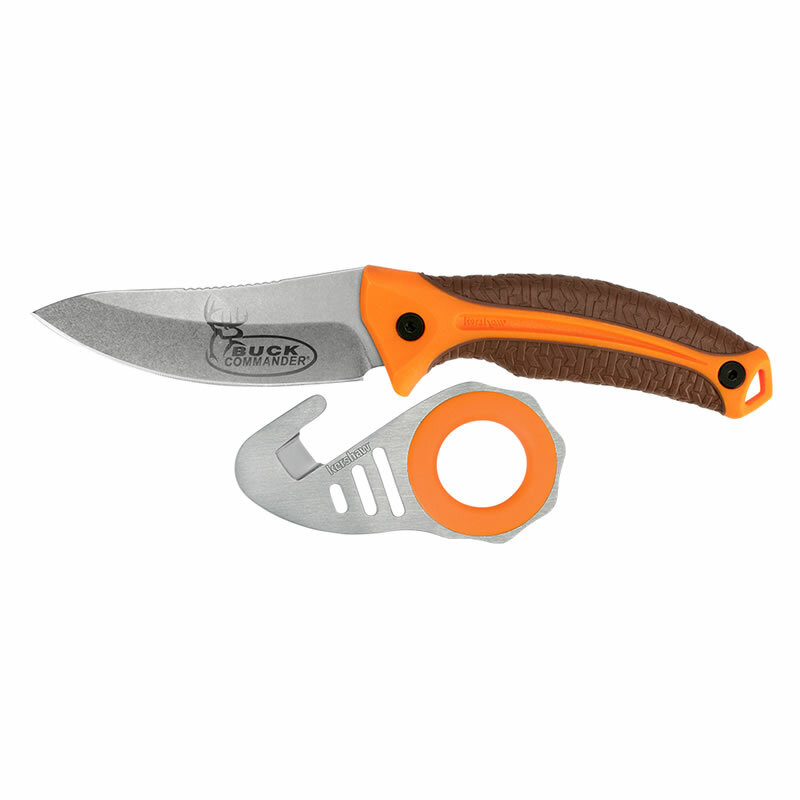 Zipit Blade: Satin finish Handle: Steel with non-slip insert Blade: .5 in. Overall: 3.75 in.